Mark Levinson Power Amplifiers: only 4 designed, one became a legend. 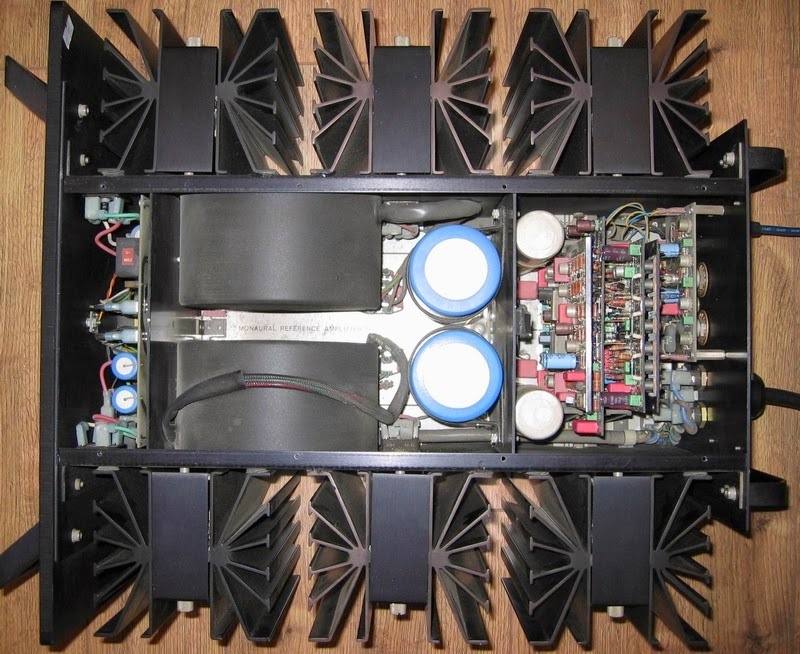 The job of the amplifier is to take a few volts as input and output a lot of volts. If they can handle lot's of current it means that theycan drive loudspeakers with low impedance, like some electrostatics panels for example. All Mark Levinson amplifiers can drive virtually anything. ML-2 2 × 25W monoblocs (the legend). To understand the difference between class A and class AB amplifiers one can read the according page on the Wikipedia. Basically, class A amplifiers need a lot of current from the power source even when idle, as a consequence they run very hot. The class AB amplifiers do not have this drawback, they can get hot but not that much and they need only a small amount of current when idle. Class AB means that the amplifier runs in class A from 0 to X watts and then switch to class B. Of course you don't hear anything. Typically the value X is a few watts. Some simple explnations with schematics here : http://forum.qscservice.com/viewtopic.php?f=29&t=2752.